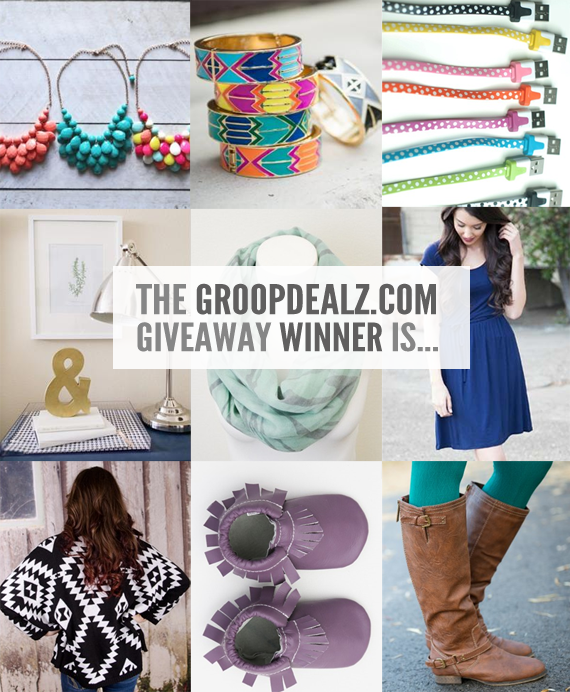 Bubby and Bean ::: Living Creatively: GroopDealz Giveaway WINNER! Congratulations Johnny & Callie Bowers! Please contact me at bubbyandbean (at) gmail.com so we can get you your prize. Thanks again to GroopDealz for offering Bubby and Bean readers the chance to win a credit to their amazing site! Congrats to the winner! Lucky!